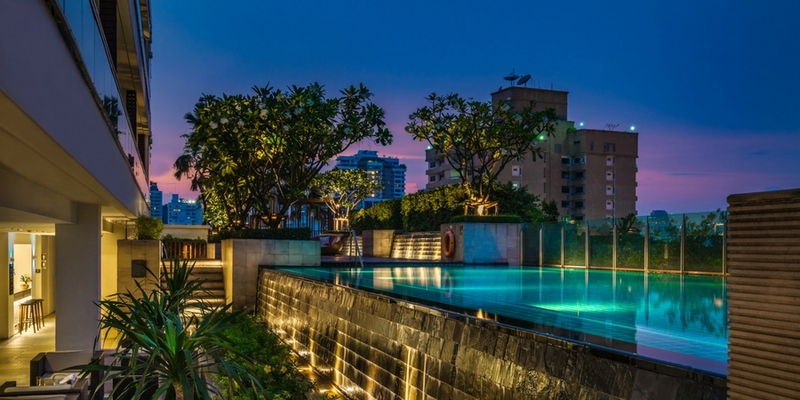 If you are visiting Bangkok then staying in the trendy district of Thonglor is a must. As well as exploring the city we have seven secret bars in Thonglor, Bangkok for you to try. 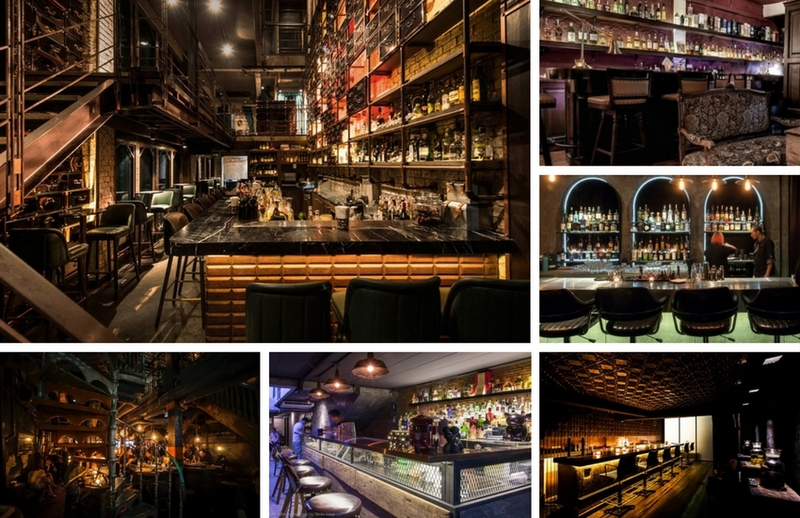 All of these secret bars are within easy walking distance from the akyra Thonglor Bangkok Hotel. Joseph Boroski is a bit of an institution at this point. He's trained and done the cocktails lists for a lot of the five-star hotels in Bangkok, for all of Ashley Sutton's bars, for Quince, etc. Is it worth the effort? Well, at B620 it better be. But how does this sound: a Sazerac made with XO Cognac and Hudson Rye, a dash of Hella citrus bitters from Brooklyn. You can't even find half these ingredients in Bangkok! The Backstage bar opened back in 2014 under the name Behind the Scene Lounge & Bar, this Broadway-burlescue Space on the lobby floor of the theater-themed Playhaus boutique hotel has been revitalized by six of Bangkok's leading bartenders into a tiny out relaxing Spot where the motto is, "Nothing is Serious behind the curtain, except for Cocktails." The music. It's all about the groovy pop songs. Thonglor's super-stylish Black Amber Barber Shop & Tattoo (between Thonglor Sois 5 and 7) has expanded across the road into a full-on gentlemen's whiskey bar and networking spot on Thonglor Soi 6. Just like they did with their first building this new location feels like area community The bar sits on the first floor, along with the brand-new Mirror Mask Vintage shop and Toast Bespoke tailor shop. Another Café Will join soon, too. Hidden away behind a wall of grungy looking lockers at Thonglor's new late-night foodie mall, JIA, this speakeasy showcases some of Asia's top mixology talents. At Locker Room, Ronnaporn "Neung" Kanivichaporn from our Own Backstage Bar joins forces with Hidetsugo Ueno from Bar High Five in Tokyo, Colin Chia from Nutmeg & Clove and Nick Wu, third in the World Class Cocktail Competition 2016, from East End in Taipei. They're joined by Fahbeer Sopajaree (formerly Of The Owl Society Whiskey Saloon) on head bartender duties. The music: Big band jazz classics. Step inside this three-story shop-house and you'I find a charming, dimly-lit, narrow bar with a huge rose gold booze rack behind a marble bar. With its plentiful bar: Seating, the first floor has all the atmosphere of a serious drinking establishment, while upstairs sees more quiet corners for group gatherings-and an extra bar, so you won't be kept waiting too long. The Slowly-changing lighting adds to the intimate mood. The music: Groovy house music with live DJs on Fri-Sat spinning sets that are a little more upbeat. This is both Bangkok's most celebrated bar and its most Copied. The narrow, decrepit Dickensian factory-themed Shop house popped up on Thonglor at a time when Victorian boudoir was still the rage, triggering a tidal wave of steel beams and exposed brick that is still going strong, as recent copycat openings Such as Apoteka attest. To this day, Iron Fairies remains unmatched in its wackiness. Iron Fairies became particularly popular with expats and tourists, and We're Sure they'|| find their Way to the new spot, too. But maybe the increased comfort will sit better with locals, too. Thonglor's new gin bar is a hidden delight. Taiwanese PR officer-turned-bar owner Herman Wu saw a gap in the market for another specialist bar and filled it with the kind of welcoming space anyone would want in their neighborhood. There's a huge selection of gin labels only rivaled by Soi Nana's Teens of Thailand spanning big names and local artisanal distilleries, as well premium tonics. With its easy-going vibe, this is a gin Specialist bar that's not just for the know-it-alls. A place for meeting friends. Check out out Guide to the top fifteen roofbars in Bangkok. The self-contained sanctuaries are perfect for leisure travellers, while guests passing through on business will want for nothing with an adjacent lifestyle mall and 24-hour supermarket.